A Graduate of CCNY with a B.S. in Mathematics and has worked as a Programmer/Analyst for Major Corporations in NYC; Port of NY Authority, Lever Brothers, and as an Associate Officer of the United Nations in the Accounts Division. She relocated to Las Vegas from NYC in 1972 to accept a position as a systems analyst/programmer for Summa Corporation (now Howard Hughes Corporation) and was responsible for all the financial reporting & forecasting for Howard Hughes' holdings in Nevada & California. June was the founder of 4 computer based businesses - three of which were international in scope, designing & creating educational computer software, responsible for overseeing licensing agreements with major corporations such as Fujitsu, Atari, etc. Her years of experience in contract negotiations benefits her clients in the purchase & sale of their real estate holdings. As a 43 year Las Vegas resident, having seen the tremendous growth of the Las Vegas Valley, as well as being a long term Las Vegas real estate investor herself, she has a solid understanding of the Las Vegas market trends, conditions & demographics. Having seen the need for the vertical development of Las Vegas very early on, she has been fortunate to have developed close working relationships with many of the leading high rise developers - which translates into early phase placement & pricing for her client base. June works with her daughter & partner Lauren, and her son-in-law, Travis, giving clients the highest level of personalized service and care. This team effort gives Stark Team clients an extra level of service & accessibility. A native Las Vegan, a graduate of UNLV with a B.S. in Business and a Major in Marketing. She has been a licensed real estate agent in Las Vegas since 1996 Lauren & her mother, June, are partners and their team has ranked #1 at their former Re/Max office & #11 in the Southwest region. 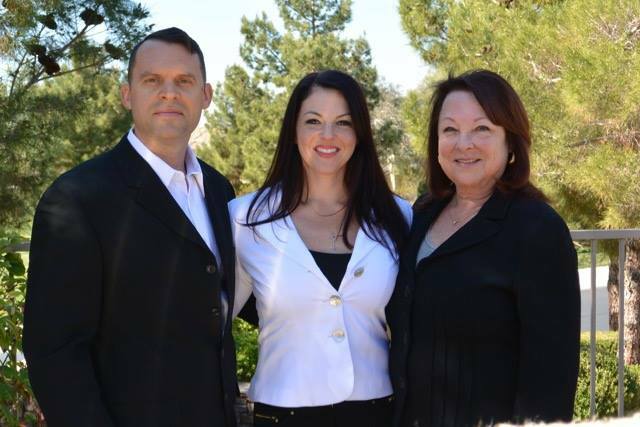 They were also the #3 team in all of Summerlin in 1998 for selling new homes. Sellers will benefit from Lauren's expertise in marketing combined with her knowledge of buyer motivations & demographics. Paired with their team's broad based internet exposure, Sellers will have powerful & widespread marketing exposure for their properties. 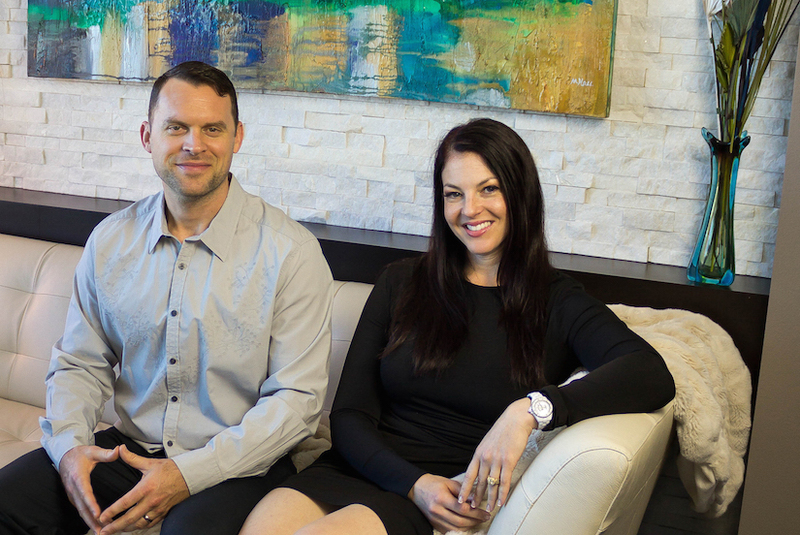 Feel free to e-mail Lauren for a Market Analysis and The Stark Team's Marketing Plan for your Las Vegas or Henderson luxury property. Buyers & Investors will benefit from the close working relationships June & Lauren have developed with many of the leading high rise developers. Their team focuses on preconstruction early phase placement in each building's most prime units. The team's solid understanding of their clients' investment objectives & goals has enabled them to build a base of national & international referrals. Lauren has been featured in Details magazine as one of Las Vegas' leading high rise specialists and on HGTV showcasing the TRUMP LAS VEGAS CONDOS FOR SALE. Travis Scholl is the STARK TEAM's high rise sales and Las Vegas New Home Specialist. A Las Vegas native, Travis has witnessed the tremendous expansion of the Las Vegas Valley over the past several decades. An accomplished professional, Travis enjoys working with people who appreciate the attentive, caring, and discreet services he provides. His vast connections and knowledge of the city make him successful at matching buyers with the best properties for their needs—whether in South Strip Lofts or High Rise Condos along the Las Vegas Strip, from Lake Las Vegas Condos and Estates to Anthem Country Club where he resides with his wife Lauren and their 13 year old son.